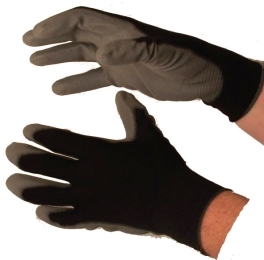 PU Coated Gloves Grey on Black Case of 12 DZ. 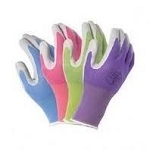 Grey PU coated glove. Textured palm and fingertips. Ultra lightweight nylon black shell. Individually bagged per pair. Made in China.